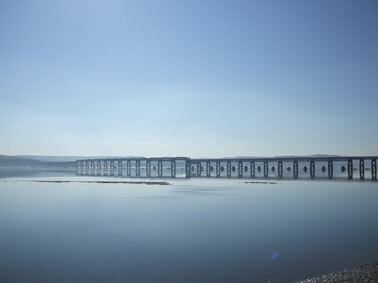 The River Tay with the Tay Rail Bridge. If you look closely you can still see the foundations of the first rail bridge alongside the new pillars. Over a hundred years ago in a storm, this first bridge literally fell apart causing a train load of local folk to fall to their deaths.